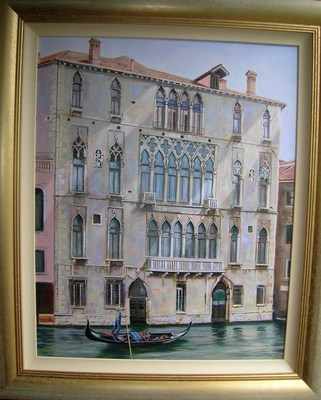 MAGNIFICENT ORIGINAL HIGH PRESTIGE EXHIBITION STANDARD OIL PAINTING "Sogni di Venezia -Venetian Dreams" . BY THE FABULOUS ARTIST DAVID ALDUS. This exquisite painting capturing the beauty and tranquility of Venice ................. Highest price received for one of his paintings is £14,000. "Lot's Wife" Absolute investment opportunity! ) Measurements height 30 inches by 23 inches. Oil on Canvas..............Beautifully framed.